Internal surface of Quadralite Space Silver Parabolic Umbrella is finished with the material which strongly reflects the incoming light. The umbrella consists of 16 panels, and each of them acts as an independent light source. Quadralite Space Silver Parabolic Umbrella frame is made of glass fiber bars. 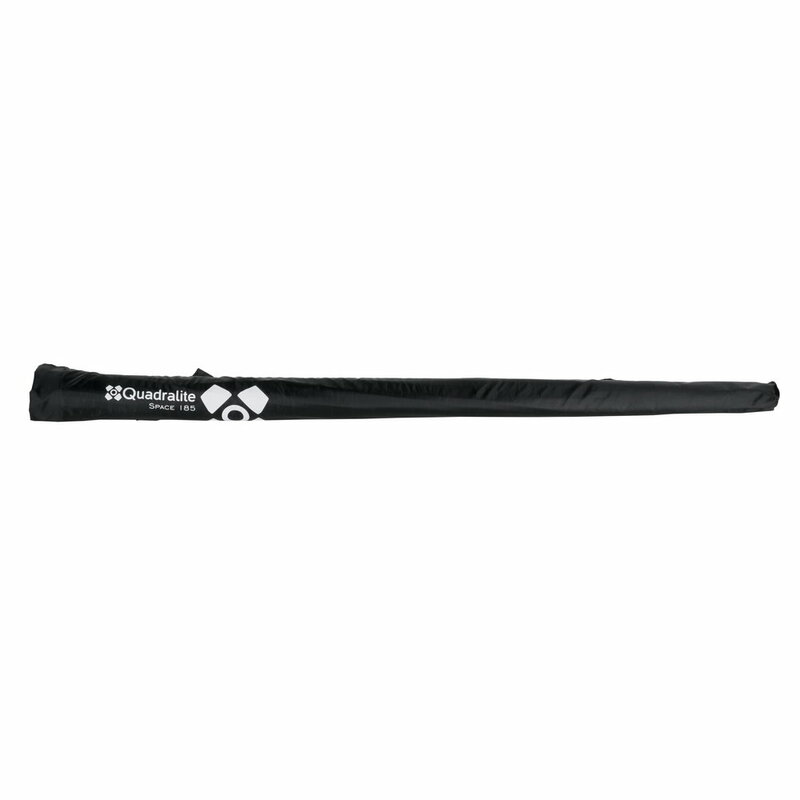 Owing to this solution, the umbrella is relatively lightweight and flexible to ensure evenly distributed material tension. 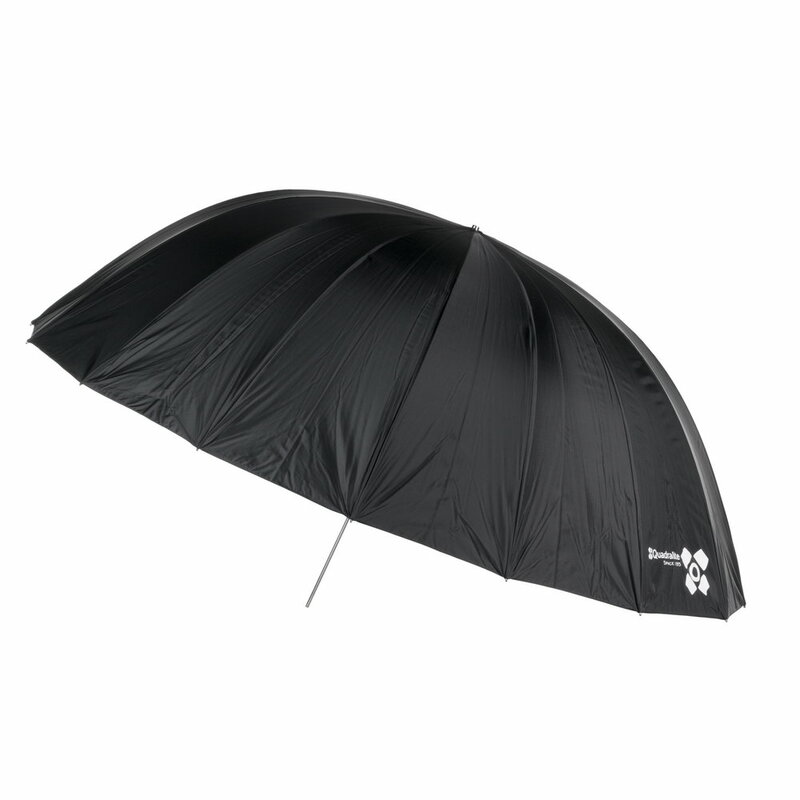 This is especially important due to the umbrella's specific shape, much deeper than in standard umbrellas. Glass fiber ensures long life of the product and adds to its high utility. 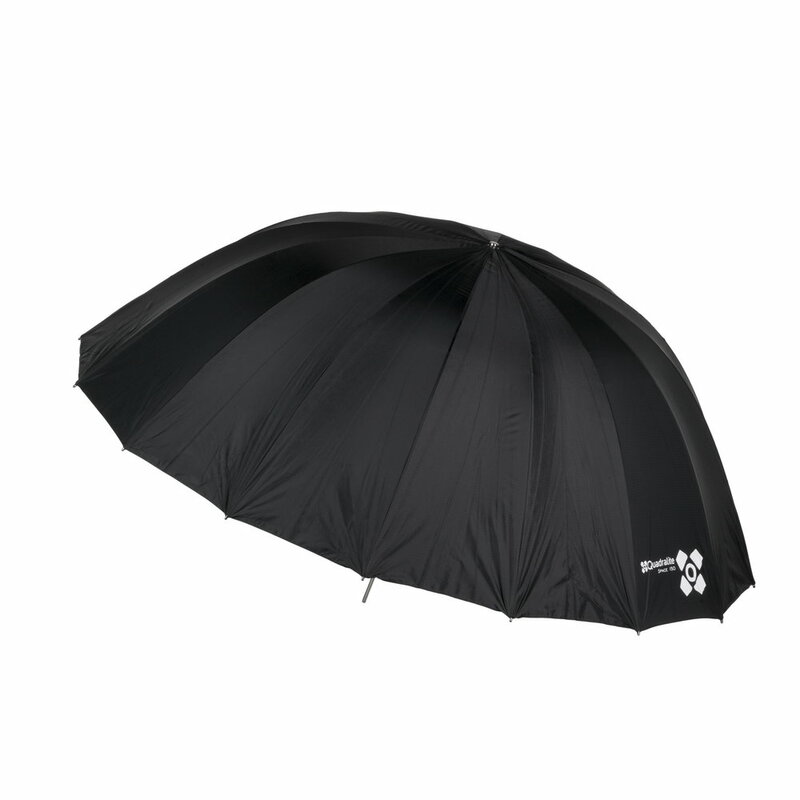 Since the reflecting material is made of the ripstop polyester, the umbrella is much more resistant to mechanical damages than its cheaper equivalents. 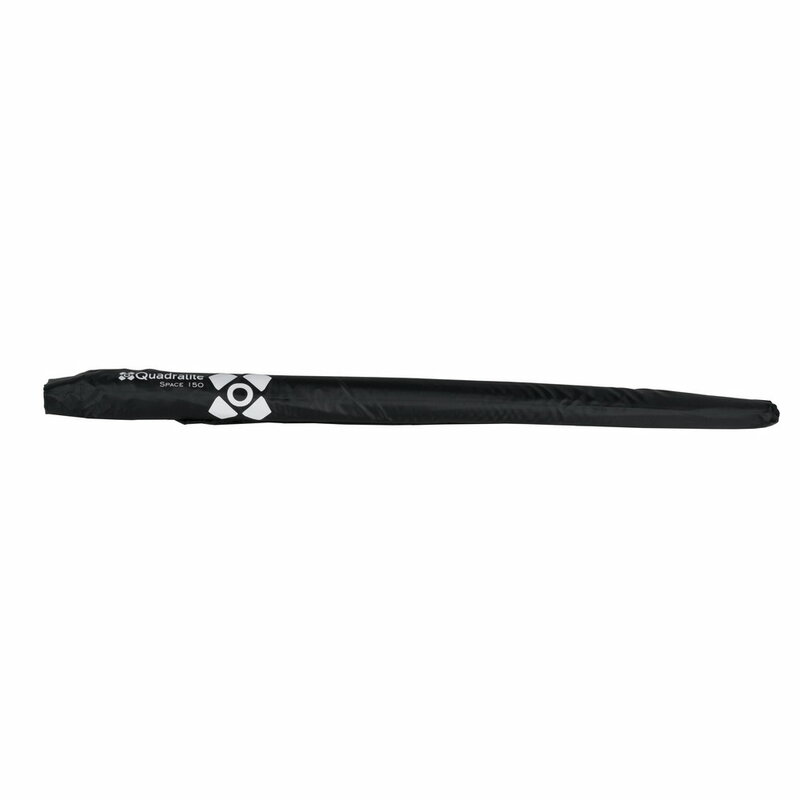 The umbrella's center shaft is made of metal which allows easy mount on all Quadralite studio flashes. Quadralite Space Silver Parabolic Umbrella may be used with reflectors or without them which will allow you to take advantage of the entire reflection surface. The reflector narrows the light spread and increases the contrast. By moving the umbrella's center shaft within the lamp's handle you can focus or broaden the light beam reflected from the umbrella onto a subject. Quadralite Space Silver Parabolic Umbrella will allow you to control the light dispersion and its quality owing to its parabolic shape, large number of reflective elements and glass fiber construction helping to keep the accurate profile. 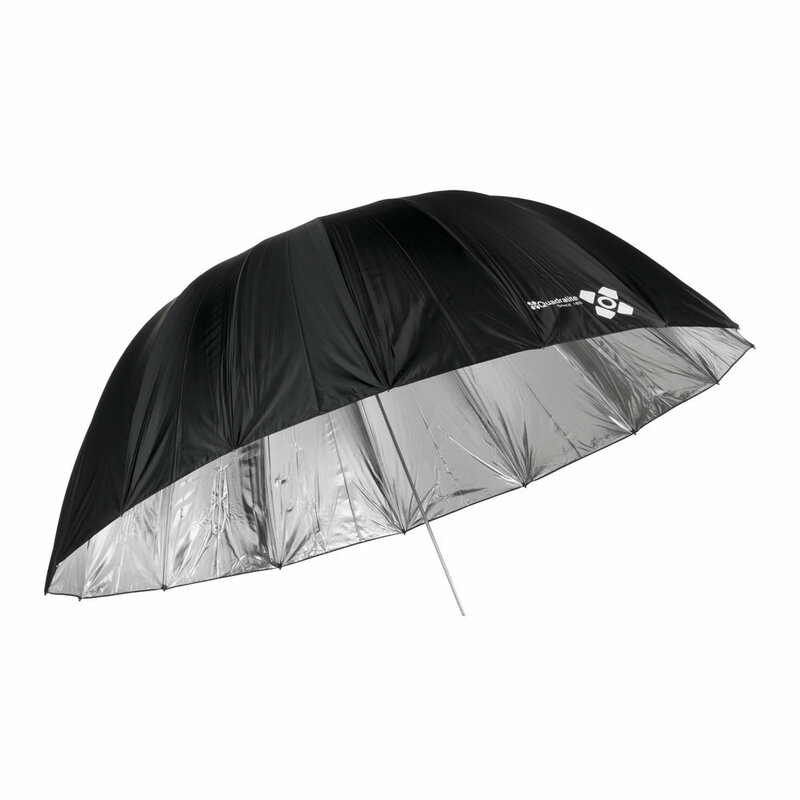 Quadralite Space Silver Parabolic Umbrella is sold with the cover that facilitates the umbrella transportation and provides additional protection against dirt and damages. 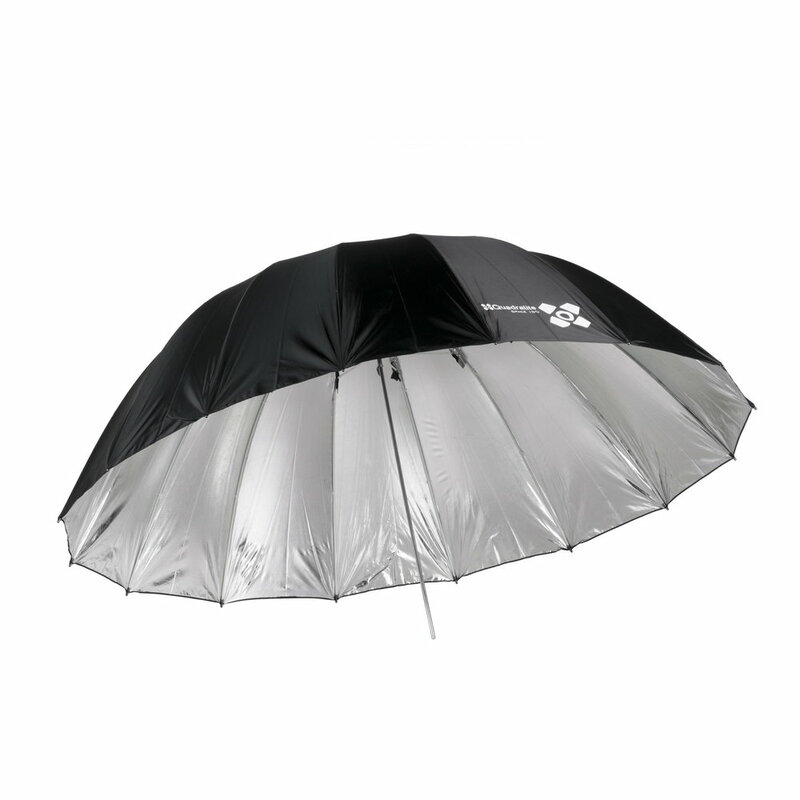 Quadralite Space Silver Parabolic Umbrella are available in two sizes: 150 and 185cm. Produces unique, contrasting light combining the features of solid reflectors and softboxes. Extremely useful during portrait shoots. Light and elastic glass fiber frame. Large working surface comprising 16 panels of the material. Easy and fast mount on all Quadralite lamps. Cover with the shoulder strap included in the kit. Quadralite Space Silver Parabolic Umbrella.